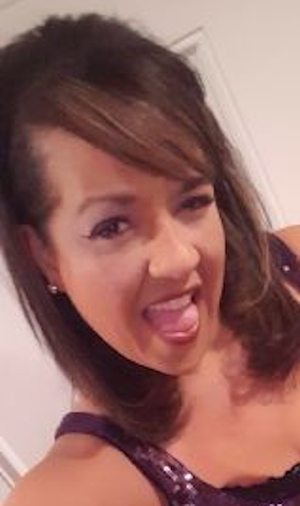 Obituary – Vaughan, Lisa Ann « Perry High School Alumni Association, Inc.
Lisa Ann Vaughan, 39, of Stillwater, Oklahoma passed from this life on September 2, 2018. She was born on June 4, 1979 to her parents Tim Dewey Vaughan and Mary Lou (Simpson) Vaughan. 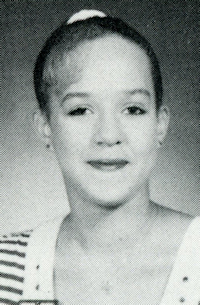 Lisa was raised in Perry, Oklahoma and graduated from Perry High School. Following school she attended a cosmetology program and absolutely loved it. Once getting her certificate she went on to work as a hairdresser for a few different places, Walmart, Supercuts, and Smart Style salon. Later on in life Lisa decided to switch her career path and became a C&C machinist. She worked for Mercury for about 10 years before switching over to Asco. Lisa had always been a very hard worker, but she also enjoyed her time to herself. She liked work, but she had many other hobbies. She liked to ride the motorcycle when it was nice outside. Lisa would be at the lake skiing or in the water all summer long. She enjoyed the outdoors with the sun on her face, but her passion was the Roller Derby. She was on the team in Tulsa, Oklahoma City, and Stillwater. Lisa was well known in the Derby world and competed for about 12 years. Her team knew her as “LOUD Lisa 99”. Lisa made many friends through all of the functions she would attend, but her greatest supporter was her only daughter, Jasmine Vaughan. Jasmine was her best friend, cheerleader, and the person she loved more than anyone in this world. She was a single mother who worked hard each and every day to give Jasmine the best life. Lisa was a beautiful and intelligent woman. She was always a little hard headed and strong-willed. Lisa was her own unique person and she will be truly missed by all who knew her. Cherishing her memory are her parents, Tim and Mary Vaughan of Perry, Oklahoma; daughter, Jasmine Vaughan of Portland, Oregon; sister, Shelley and Raymond Clyma of Muldrow, Oklahoma; nephew, Nick Chasenah of Apache, Oklahoma; and niece Brooklyn Vaughan of Perry, Oklahoma. She is preceded in death by her aunt Kathy Smith and her grandparents Melva and Pat Vaughan. Services have been entrusted to the care of Brown-Dugger Funeral Home. Funeral Services will be held on Friday, September 7, 2018 at 2:00pm with Mark Vaughan officiating at the Assembly of God Church in Perry, Oklahoma. Visitation will be held at Brown-Dugger Funeral Home on Thursday, September 6, 2018 from 9:00am until 8:00pm.